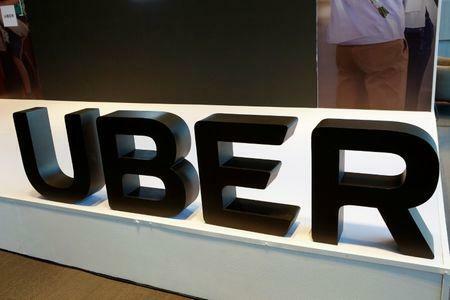 (Reuters) - The New York City Council on Wednesday agreed to cap the number of licenses for ride-hailing services such as Uber Technologies Inc for one year, dealing a blow to the companies that have relied on the largest U.S. metro area for a major source of their revenue. The first such cap by any major U.S. city was part of a package of measures that also includes setting a minimum wage for drivers. The package, opposed by major ride-hailing companies, is aimed at reducing traffic congestion and increasing driver paychecks in the wake of the explosive growth of for-hire vehicles. The drop in incomes has demoralized many drivers and the New York Taxi Workers Alliance said there have been six suicides among cab and livery drivers in recent months. New York Mayor Bill de Blasio said he intended to sign the bills into law, which would start the 12-month period where no new for-hire vehicle licenses would be issued, with an exception for wheelchair-accessible vehicles. "This action will stop the influx of cars contributing to the congestion grinding our streets to a halt," he said in a statement. The number of ride-hailing vehicles operating in the city has jumped from about 12,600 in 2015 to about 80,000 this year, according to the New York City Taxi and Limousine Commission. About 14,000 yellow cabs operate in the city. The effort to cap the services in New York, Uber's largest U.S. market, was opposed by ride-hailing businesses, including Uber, Lyft and Via. "The city’s 12-month pause on new vehicle licenses will threaten one of the few reliable transportation options while doing nothing to fix the subways or ease congestion," Uber said in a statement. Lyft said: "These sweeping cuts to transportation will bring New Yorkers back to an era of struggling to get a ride, particularly for communities of color and in the outer boroughs." Via, which operates shared rides with established stops, hopes the city will make an exception for carpools, which it says reduce congestion and provide drivers with the most money. In emails to nearly 5 million New Yorkers last month, Uber said riders would face higher prices, longer wait times and less service in the city's outer suburbs by drivers. The New York Taxi Workers Alliance, an 18,000-member union representing the city's taxi drivers, hailed the council's vote as a victory. "New York City is the first city in the country enact drivers' demands into legislation," it said on its website. Last month Uber’s CEO and Lyft’s president both addressed the traffic congestion complaints at a technology conference in Aspen, Colorado. They said they are trying to broaden their services by reducing reliance on cars, which can be seen in Uber’s acquisition of JUMP bikes and a deal with Lime scooters. 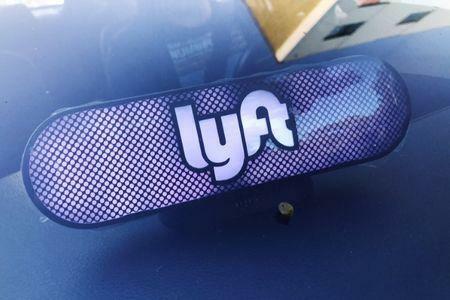 Lyft has acquired the Motivate bike-sharing company. It has also pledged to make half of its trips carpools, with multiple passengers by 2020.